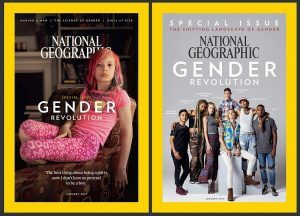 Jean Malpas and the Gender & Family Project are quoted in National Geographic’s special issue on gender. Read the feature article, How Science is Helping us Understand Gender Identity in the January 2017 issue of National Geographic Magazine. Iconic performer, writer, artist and activist Mx Justin VivIan Bond will close out an epic yearlong retrospective of v’s 25 year career at Joe’s Pub at The Public with a new show called The Golden Age of Justin VivIan Bond, September 7-10 at 9:00PM, and a tribute concert, Trans/Art/Family: The VIVification of NYC, on September 11 at 8:00PM. The VIVification of NYC will be a celebration of Mx Bond as well as a benefit for two organizations – Participant, Inc and The Gender & Family Project. President & CEO, Lois Braverman, featured in this “Look to the Stars” article, shares her thoughts on our upcoming, 2015 Moving Families Forward Gala. Lois boasts her gratitude for the evenings host; Tamsen Fadal, Alice K. Netter who will be honored with the Ackerman Distinguished Service Award, William H. Donaldson recipient of the Ackerman Partner Award, and Jacqueline Woodson recipient of the Moving Families Forward Award. Our Gala is on October 26th at the Waldorf Astoria hotel in New York City.